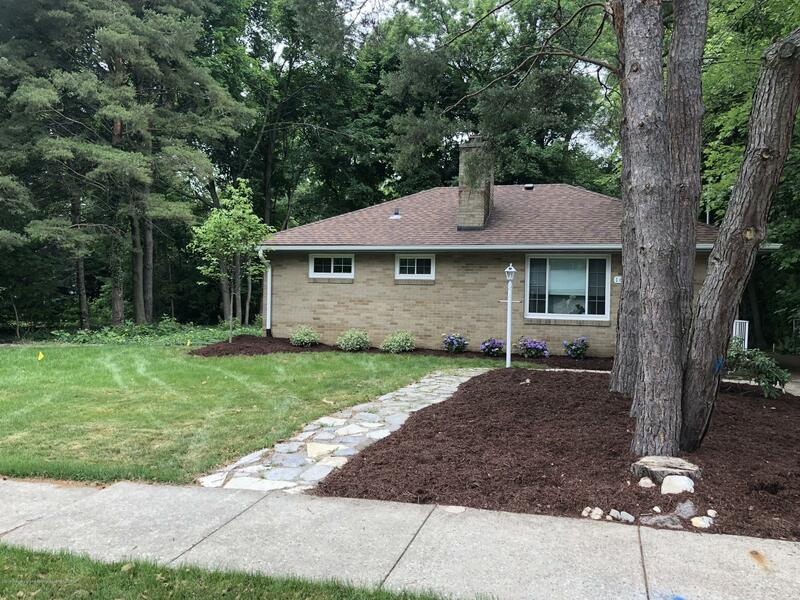 Charming 3 bedroom ranch home in the heart of East Lansing. Features hardwood floors and cozy wood burning fireplace that was beautifully updated in 2017: fully remodeled bath & kitchen with all stainless appliances & tile floors, new windows and new basement carpet, new concrete driveway and automatic openings for the 2 AA1/2 Car garage. The new washer & dryer and all stainless kitchen appliances all stay with the home. Freshly painted, sparkling clean and ready to move-in! Call or Text Amy Jackson for showing 517-203-8760 Ideally location in the quiet Leathers neighborhood that is walking distance to MSU, local schools, shops and restaurants.